The man credited with co-writing Bob Marley And The Wailers' No Woman, No Cry has died. 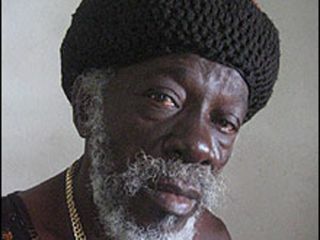 Vincent Ford passed away aged 68 in Jamaica on 28 December 2008, after complications from diabetes. It's thought that the song was actually written by Marley, but he donated co-writing credit to his childhood friend Ford. The royalties allowed Ford to continue to run a soup kitchen in Trenchtown, the ghetto of Kingston, where Marley grew up. No Woman, No Cry originally appeared on Marley's 1974 album Natty Dread, but it's the live version from 1975 (on the album Live!) that has become known as the definitive performance. Whoever wrote it, it remains one of reggae's greatest songs.